The horticulture industry must accentuate the positive if it is to cultivate a new crop of plant professionals. The law of attraction, colloquially speaking, goes like this: “You catch more flies with honey than you do with vinegar.” The horticulture industry is heeding this homespun wisdom as it tries to attract new workers to its ranks. There’s good reason for sweetening the pitch. The average age of Oregon farmers and ranchers is at an all-time high — 60 years and climbing. The United States is on the cusp of the largest retirement of farmers in its history, with more farmers over the age of 75 than between the ages of 35 and 44. Ideally, there would be a new generation to take the outgoing one’s place, but that is not the case. Why have young adults today soured on horticulture? Partly because only one percent of the population is farmers, so many simply lack first-hand exposure to ag. The rest have been conditioned to associate jobs in horticulture with long hours, hard work and low pay. Maybe people would be sweeter on horticulture if they knew there’s a surplus of jobs in desperate need of filling. According to 2014 statistics, only 61 percent of the expected 57,900 average annual openings available in the horticulture industry are likely to be filled. These jobs include everything from greenhouse growers and plant propagators, to viticulturists and enologists; plant inspectors and diagnosticians; integrated pest management specialists; food scientists; arborists; natural lands managers; landscape architects, designers and contractors; irrigation specialists; master gardeners and retail garden center workers; floriculturists; groundskeepers; sports turf managers; horticultural therapists; geneticists and plant pathologists; and horticultural educators. As co-chair of the Seed Your Future initiative, Ball has partnered with more than 150 organizations to grow the number of people pursuing horticulture-related professions. Their mission is to make people understand and appreciate the industry, and to encourage people to pursue careers in horticulture. Susan E. Yoder is the executive director of Seed Your Future. She’s been taking the organization’s message on the road, speaking at horticulture trade events. Because the term “horticulture” is poorly understood and suffers from bad connotations, many universities and colleges now refer to the field as “plant sciences” in an effort to bolster enrollment. It’s important to use contemporary language that is easily understood, Yoder noted. “‘Plant specialist’ resonates better than propagator; ‘turf specialist’ is more interesting than ‘lawn maintenance’ — just the difference in nomenclature receives more awareness of these jobs being available,” Yoder said. 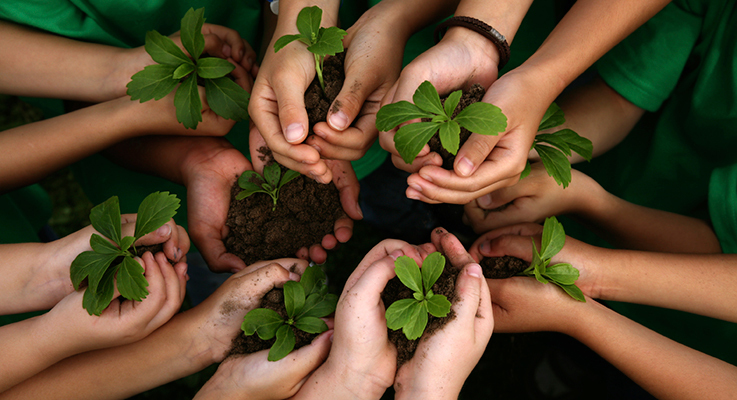 If young people, their parents and other influencers, such as teachers and youth group leaders, can change their thinking about horticulture, then the hope is that they will become more involved in organizations such as the National Junior Horticultural Association, Junior Master Gardener, 4-H and the National FFA Association (formerly known as Future Farmers of America). These organizations can provide hands-on experience early in life, setting youths on a path toward careers working with plants. Many Oregon high schools offer CTE (career and technical education) programs focused on horticulture. At Newberg High School, for instance, the elective hort program increased enrollment from 34 students in 2008, to 220 in 2012. More remarkably, the program has survived in an era of school budget cuts by raising its own funding. The program does contract growing, holds a May plant sale and provides hanging baskets for a Rotary Club of Newberg fundraiser. While this program provides a great introduction to the profession, it’s more imperative than ever that these students continue their education by pursuing horticulture-related degrees in two-year and four-year colleges and universities. “Students need education after high school to earn a family-wage job — that is the biggest change over the past two generations. But it need not be a four-year college,” said Jennifer Satalino of the Educational Credit Management Corporation. ECMC is a non-profit organization that assists students and their families plan and pay for college. Satalino helps qualified students participate in the Oregon Promise, the state education grant program that launched last year. The program covers most tuition for recent Oregon high school graduates with at least a 2.5 GPA and GED recipients who are seeking to enroll in an Oregon community college within six months of graduation. “By giving all high school seniors the message that they can go to college for minimal cost, the hope is that we will have more students interested in going to college than in the past, due to cost concerns,” Satalino said. Oregon community colleges offer certificate and degree programs specifically geared toward preparing students for mid- to upper level positions in the horticulture industry, so the means are certainly there. What’s key is to have more people acquiring an appetite for horticulture as a profession. Perhaps the industry can ride the wave of interest that has been generated around food. “The movement of farm-to-table cuisine, which has been seen in the rise of school gardens, and even within flowers, the field-to-vase movement, these are providing the missing link, the realization that these are jobs,” Yoder said.